While everyone had an amazing time, Robert was so distracted he couldn't remember much of it. It won't have been down to drinking too much though - he's been sober for 11 years after suffering with alcohol and drug addiction. "I threw a huge party - but wasn't aware of most of it," he admitted to German newspaper Bild. "The next day, everyone called me and said, 'That was brilliant!' That's why I made my latest resolution: Life is like a rose, you have to smell it as well as see it." 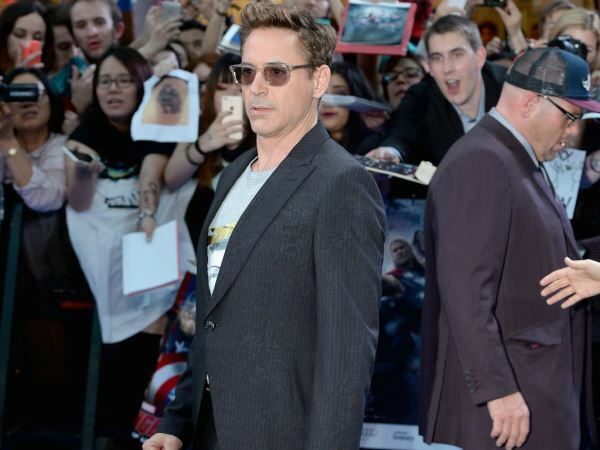 Robert is busy promoting Avengers: Age of Ultron, which sees him reunite with co-stars Mark Ruffalo, Scarlett Johansson and Chris Evans as the superhero team. In real life, his parents were his heroes and he shies away from labelling himself as a goodie or a villain, as he believes actors already have "ego problems". "I'm not a hero. Life is complicated and difficult enough," he sighed. "The true heroes are normal people, who get up in the morning and deal with their everyday problems."